In a small saucepan over medium-high heat, bring all the ingredients to a boil and simmer for about 1 minute. Let cool. Season the chicken with salt and pepper. 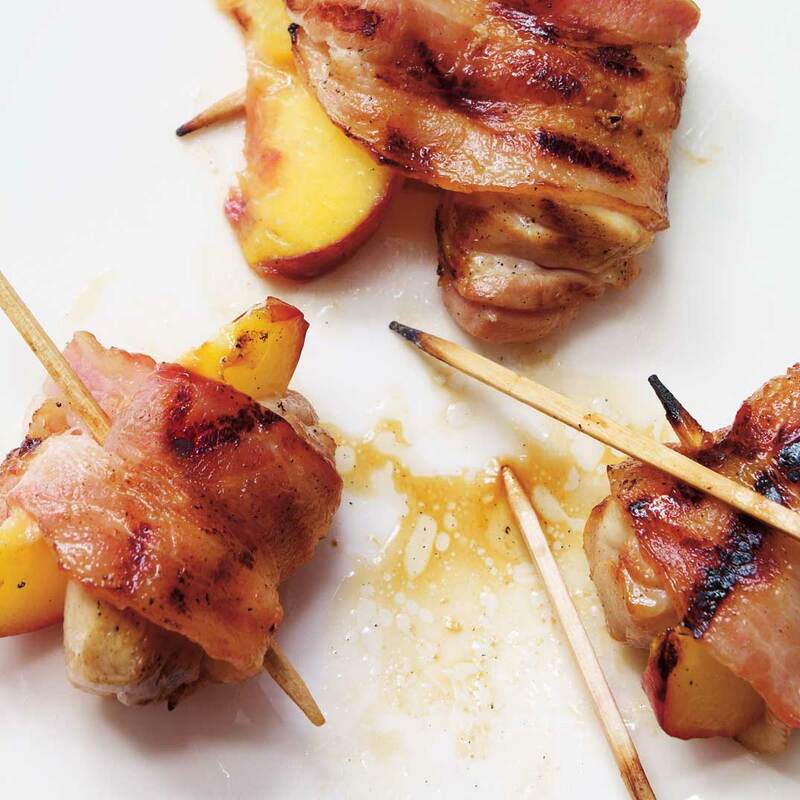 Wrap a piece of chicken and a peach wedge with a half slice of bacon. Thread onto a toothpick. Place the skewers in a glass dish and coat with the marinade. Cover and refrigerate for 15 minutes. 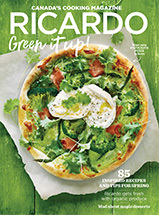 Reduce the heat to medium. Grill the skewers for about 5 minutes on each side. Turn off the burner on one side of the grill and place the skewers on the unheated section for about 10 minutes, or until the chicken is cooked through. 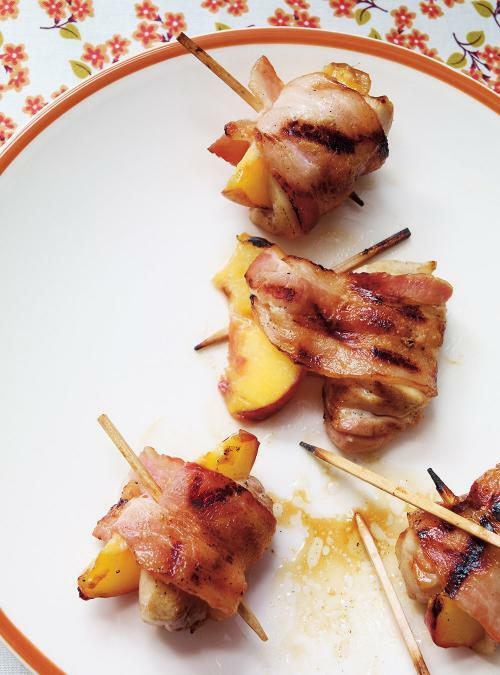 These mini skewers can also be made with pork tenderloin.